JBL recently introduced a limited edition of Everest Elite 700 Platinum headphones as part of their 70th Birthday celebrations. 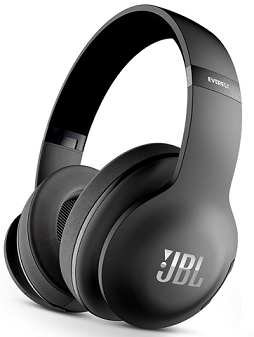 These come with latest Bluetooth 4.0 support and NXTGen active noise-cancelling technology. Headphones are priced at attractive $299.95 and features "TruNote Auto Sound Calibration" technology which automatically tunes the sound and also has built-in controls for music playback and mic for hands-free calls. For most of the music genres, headphones work pretty impressive and quite capable of producing mid and treble ranges in a rich manner. The NXTGen active noise-cancelling technology blocks most of the noise outside such as train outside or busy vehicles street. Headphones do come with a strong Bluetooth connectivity so that you can move around easily. It also supports 'my JBL' app which can connect them to any smartphone and utilize new levels of control through the app. On wireless connection, it can last up to 15 hours on single charge. Overall Everest Elite 700 Platinum headphone is an amazing choice for music lovers.